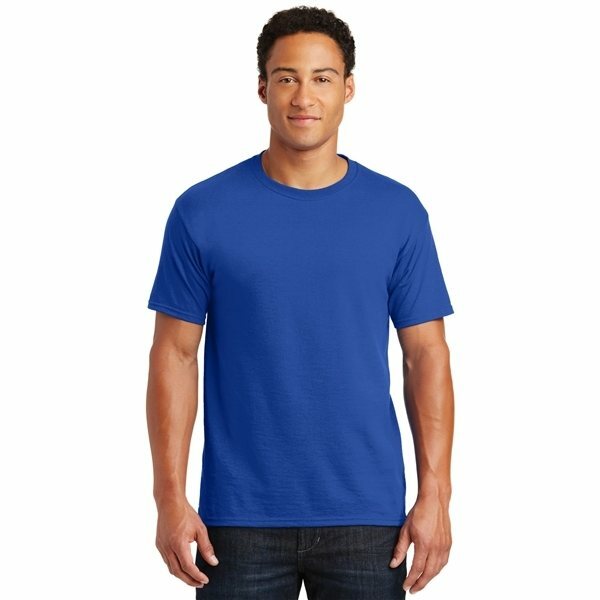 JERZEES® - Heavyweight Blend™ 50/50 Cotton/Poly T-Shirt. 1x1 rib knit crew collar. Double-needle coverstitched on front neck. Overall Reviews: WRITE A REVIEW (8)5.005JERZEES® - Heavyweight Blend™ 50/50 Cotton/Poly T-Shirt. this is great. Rose was absolutely wonderful in handling this order for us. Very pleased with the product and process. It was better than we expected!